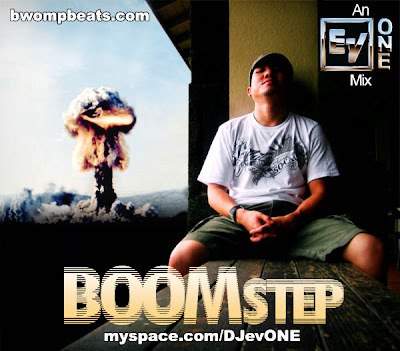 Representing them big, bass heavy Bwomp Beats over on the West Coast, Ev-1 hit us up with his latest Boomstep Mixtape, that kind of speaks for itself really. A well crafted mix of tracks stretching across current to classic, underground to unheard from some of our favourites such as An-ten-nae, Bassnectar, Akira Kiteshi, Mochipet, Rusko, Raffertie, Jayou, EPROM, DZ and Stagga (full tracklisting and download here). Posted in akira kiteshi, An-ten-nae, bassnectar, bwomp beats, dubstep, dz, eprom, ev 1, ev one, Jayou, LA, Mix, mixtape, mochipet, raffertie, rusko, stagga, west coast . Bookmark the permalink. RSS feed for this post.